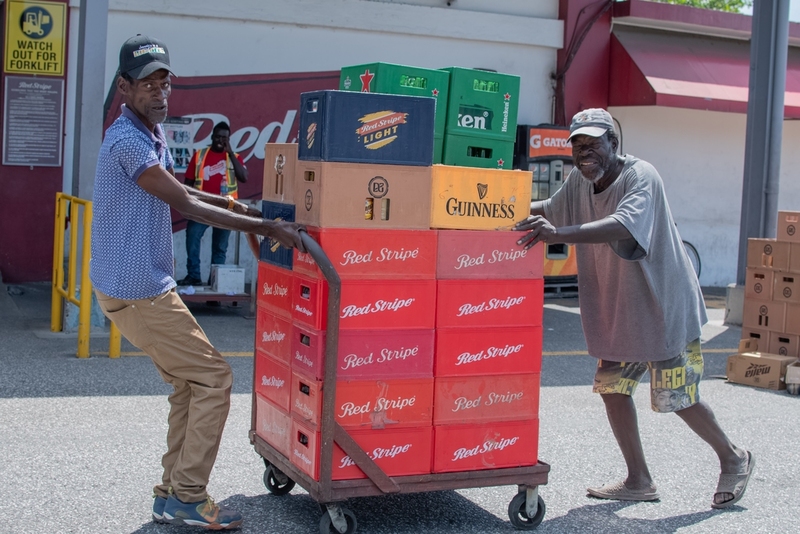 From left to right: Gardener, Joseph Hibbert and golf course caddy, Godfrey Bromwell bring a total of 120 crates of beer bottles to Red Stripe’s 214 Exchange. 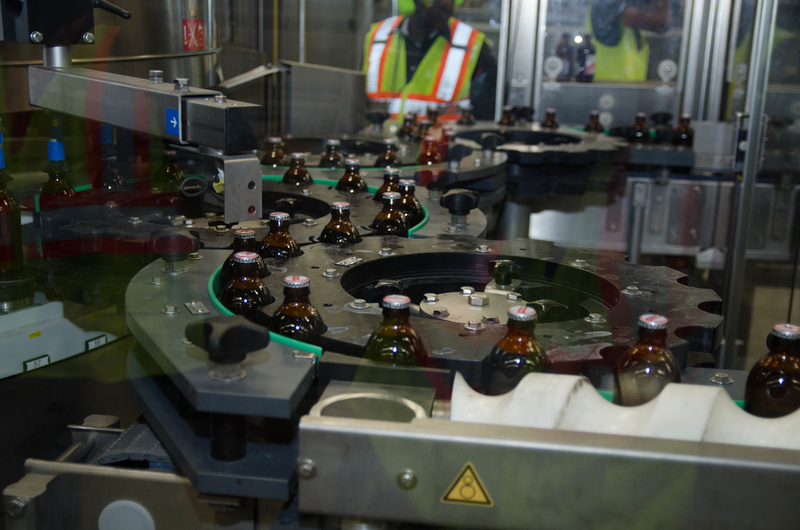 Glass is among the strongest materials used to package products in Jamaica’s food industry. However, it takes years to decompose and with increasing climate change consequences, public and private sector interests have been encouraging Jamaicans to join the fight to reduce our carbon footprint. One St Catherine man, Godfrey Bromwell heeded the call to protect the environment and has also been able to create an additional stream of income, turning what other people consider trash into cash. The 68-year-old golf course caddy can be seen on a regular basis, scouring the lawns of the Caymanas Golf Club in St Catherine in the hope of finding bottles to reap rewards. In addition to experiencing financial fulfilment, Bromwell also feels morally satisfied when he collects bottle. “Leaving glass bottles on the road is a dangerous thing. It's bad for the environment because they don’t decompose easily and when the bottles break, the glass can slash tires and cut our children. They also help to make the place look messy so when I pick up the bottles, I think I’m doing my part to help keep the surroundings clean,” noted Bromwell. While highlighting the importance of caring for the environment, 63-year-old Joseph Hibbert admits that the additional income is his main motivation. Hibbert, who hails from Drewsland in St Andrew, also collects discarded beer bottles and returns them to Red Stripe for cash. Hibbert is a gardener and the sole provider for his family. A typical day for him involves providing landscape services to his fellow community members. However, on days when there are no jobs, Hibbert walks from bars to supermarkets and everywhere in between, collecting beer bottles as an opportunity for another income source. “I have been collecting bottles for about seven years now. I first started when I heard that Red Stripe was paying out cash for returning them. I needed the extra money to put food on my table for my family so I started keeping an eye out for beer bottles I saw along the road,” said Hibbert. These days, returns are yielding double what they used to. 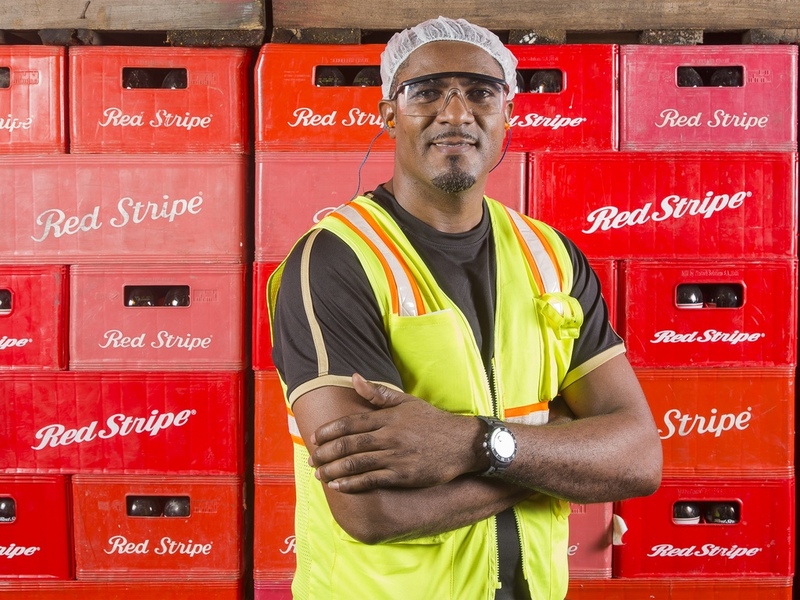 Red Stripe recently launched its ‘Redcycling’ campaign and announced a 100 per cent increase in the price it pays for bottle returns. The company is now paying out $20 for each bottle returned and $600 for each full crate. The company says it’s part of its drive to bolster its sustainability agenda since glass bottles can be reused up to six times in the production cycle without losing their purity and quality. “Recycling figures have declined over the last 10 years coming from a high in 2009 with 95 per cent of bottles being recycled, to just 85 per cent in 2018. 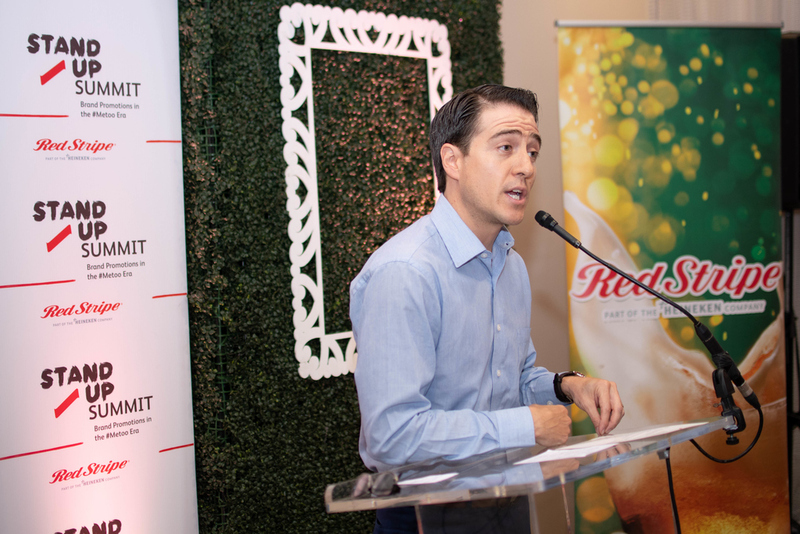 This initiative is a win for us and a win for members of the community who will reap greater rewards while ensuring that fewer bottles are left along the roadways or end up in landfills,” said Ricardo Nuncio, Red Stripe’s managing director. Bottle collectors like Hibbert and Bromwell couldn’t be more pleased with the price increase. Since the launch of Recycling, Bromwell has made more profits from returning 60 crates of empties. Hibbert also returned 60 crates of beer bottles, the proceeds from which he will use to buy food, clothes and back to school essentials for his two granddaughters attending primary school.